[THE INVESTOR] Samsung Electronics’ plan to pack an iris scanner and a dual-lens rear-facing camera in the Galaxy S8 is expected to make up for the financial losses of lens suppliers caused by the short-lived Galaxy Note 7. Samsung is reportedly planning to incorporate the iris scanner, a killer feature of the Note 7, and the dual-lens camera, which is now mainstream in the top-tier handset segment. “Samsung never uses the same camera for its flagship models, upgrading the camera of its flagship device every year, so there surely will be an improvement (for the S8 camera),” said an official from one of Samsung’s parts suppliers for the S8 on condition of anonymity. The official said the adoption of the dual-lens camera would allow suppliers, as well as module makers, to see their revenue increase, if not double, as two separate camera modules -- a mix of high-end and low-end products -- along with two lenses are used. 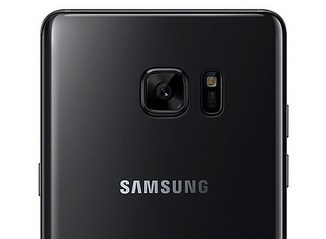 The plan for adoption of the dual-lens camera and iris scanner, which has not been confirmed by Samsung yet, could become a financial boon for parts suppliers for the Note 7, who had to take the brunt of the crisis caused by the fire-prone handset. Among the beneficiaries are Samsung Electro-Mechanics, which will be, as usual, a major supplier of camera modules for the tech giant’s S8, and smartphone lens makers, including Sekonix, and Kolen, a lens maker for the iris camera. Partron and MCNEX who supplied iris scanner sensors for the Note 7 will likely remain the suppliers for the S8’s biometric sensor. The dual-lens camera, despite its intrusive design, has already become a mainstream feature of premium smartphones. Major smartphone makers, such as Apple and LG, have all deployed the dual-lens camera in their flagship models -- iPhone 7 Plus of the US firm and V20 of the Korean smartphone maker. Taking a hint from comments of Samsung mobile chief Koh Dong-jin at a launch event of the Note 7, Samsung will have an improved iris scanning technology fitted in the S8, which will be unveiled in February next year. Koh, who led the development project of the iris recognition technology at Samsung, said the tech giant has “a bigger road map for the iris scanner,” signaling consumers will see more adoption of the biometric tech in high-end Samsung handsets.